Judith F Kennedy, Ph.D. “Judy” has been a licensed psychologist and business consultant for over twenty years working with leaders to build satisfying, effective lives and relationships as well as successful businesses. She has given countless workshops for leaders, executives and couples and is a sought after speaker for conferences and seminars. She is a consultant to business owners and executives and is a trusted advisor to many top leaders. She has worked with many well known family businesses in the Seattle area. A Psychologist for over twenty years, she specializes in leadership and relationship. She received her Ph.D. in Counseling Psychology from the University of Houston. Her masters work concentrated in Behavioral Sciences, Marriage and Family studies. She held senior leadership positions in the oil industry, in the advertising industry and in a national consulting firm and has been an award winning teacher. This business experience coupled with a PhD in psychology, gives her a unique perspective into the psychological dynamics of being human and leading others. 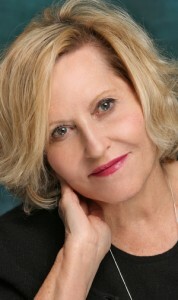 She has studied at renowned organizations and with world class leaders and teachers such as the Center for Organizational Learning at MIT, Creativity and structural dynamics with Robert Fritz, as well as Steven Stosny, Harville Hendrix, Terry Real, David Schnarch and many others in the relationship therapy field. She is a member of the American Psychological Association, the Washington State Psychological Association, andThe National Register of Health.